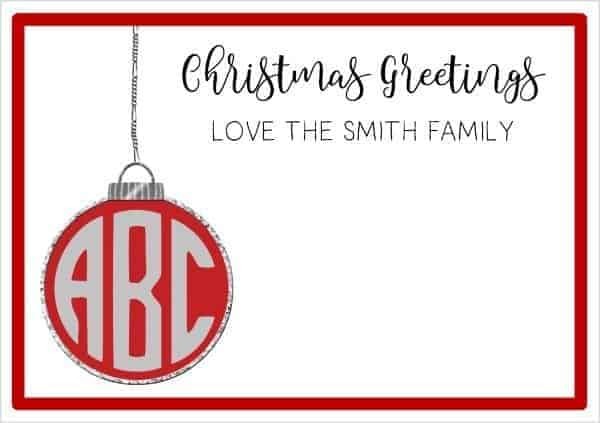 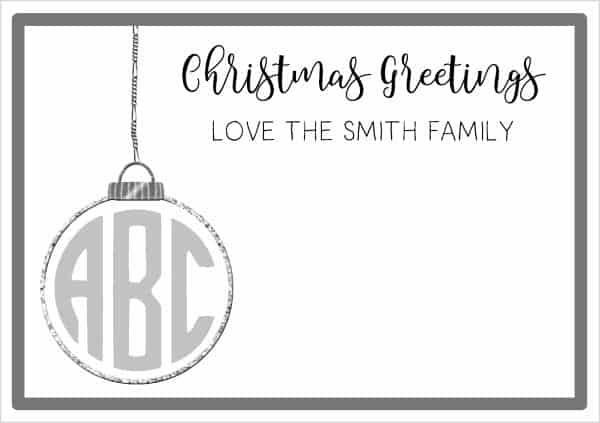 The text on each Christmas card can be edited so you can change it to write anything such as “Happy Holidays” or you can create thank you cards for Christmas gifts. 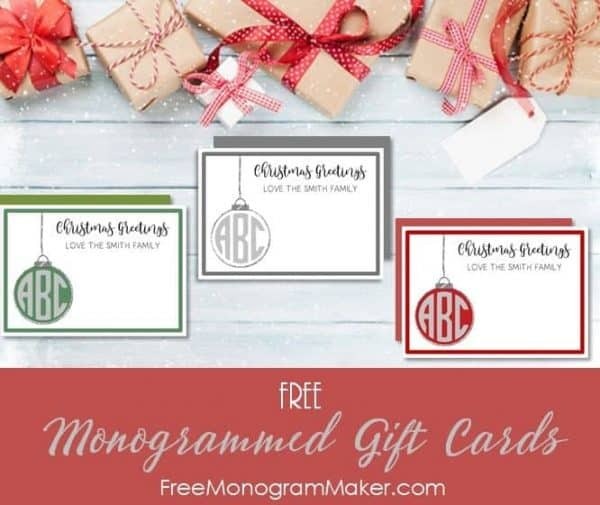 Choose the gift card template that you would like to use. 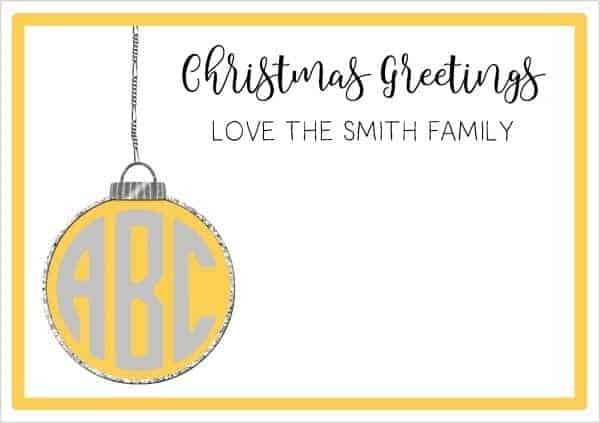 Customize the monogram, edit the text and then print on cardstock.